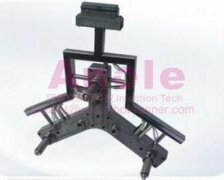 Anole is a durable hot runner system maker in china. Here i would like to show you the benefits of hot runner system. Exclude saving the material, shorting the cycle time, hot runner system can realize injection plastic in the side way of the mould. When need this ideas, the mould uauslly need three plate, in this way ,the heavy mother template must be sliding on the guide pin when injection, and this will lead to shorten die life .but when applicate hot runner system, the mould structure will be simple, easy forming, high forming speed, reduce the material when forming the head. The second advantage is it can form Object which is difficult to forming such as: high viscosity, low viscosity, high molding temperature....the third point is that it can Achieve high speed injection molding. Since the runner has been in the molten state.So high speed molding forming is not only Improve the efficiency of forming. it Is obbligato to make the forming thickness products , such as containers , glass... Here are three benifits of hot runner system.